Black & Decker is a world leading name in DIY products used in and around the home. The company’s Global Design Centre in Spennymoor, CountyDurham is using the Dimension 3D Printer from Stratasys to dramatically speed up product development time. Black & Decker is the world’s largest producer of power tools and accessories. The company has seen product development cycles in the UK decrease significantly over the past decade as global competition increases along with consumer demands. 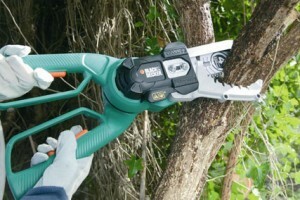 New product lines, for example in garden equipment, are expected to be launched yearly. The pressure to constantly launch new ranges means that the company is always looking for faster ways to get products developed and into stores. Previously Black & Decker used a combination of in-house CNC milling for tooling while outsourcing stereolithography (SLA) and laser sintering (SLS) parts when designing new product ranges. However 18 months ago the company took the decision to purchase a 3D printer which would enable them to produce more prototypes in-house and shorten their development cycles. “Before using a 3D printer it would typically take three to five days to get a prototype back from the service bureau. Having the machine onsite has made a phenomenal difference to this procedure. Parts that previously took three days can now be ready in just a few hours”. The Dimension 3D Printer enables designers to print parts directly from their CAD computers. The printer driver software installed on the network automatically imports STL files from the CAD software and builds highly durable, functional ABS models. Dimension 3D Printers can run unattended and provide system and build status updates via email, pager or online. The design team at Black & Decker uses the 3D printer for evaluating and improving the form, fit and function of its models and to explore different design iterations such as for battery packs or housing casements.”Our industry is highly regulated and all new products have to comply with international standards set by organizations such as TUV and Kema”, he adds. “We recently had an inspector onsite reviewing new parts. He wasn’t happy with one particular aspect of a design. Our team was able to completely redesign it and present it to him again while he was still onsite. This would have been impossible previously. “Another significant benefit is that the design team now makes considerably more parts than they used to. The previous use of a bureau cost money each time a part was sent. Engineers often refrained from making too many parts or doing too many iterations of the same design in order to save money. Engineers can now make subtle or total design changes until they are completely satisfied, without having to worry about spiraling costs. This means that engineers are able to experiment and have much more freedom with designs. Black & Decker saw the Dimension 3D Printer pay for itself within three months and the company has been impressed with the ease of installation and after sales support. The 3D printer is also simple to maintain. Swaddle notes that his team are able to fix minor technical difficulties themselves, although he admits these have been rare.